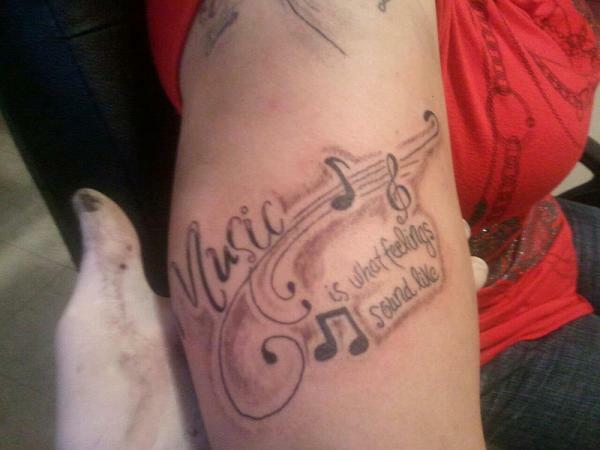 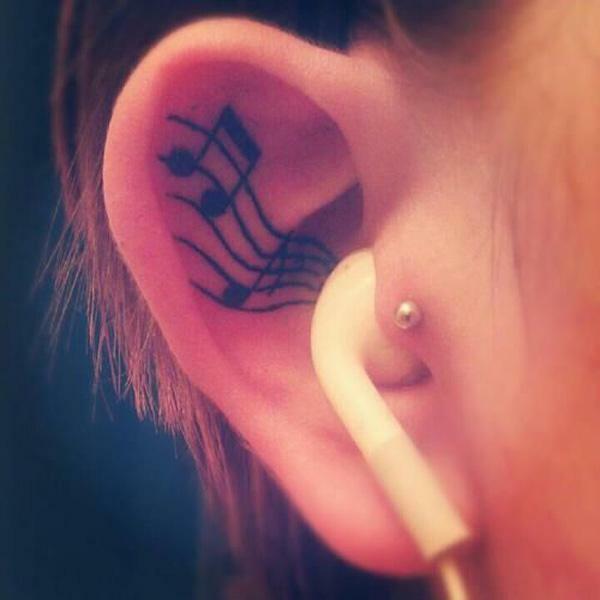 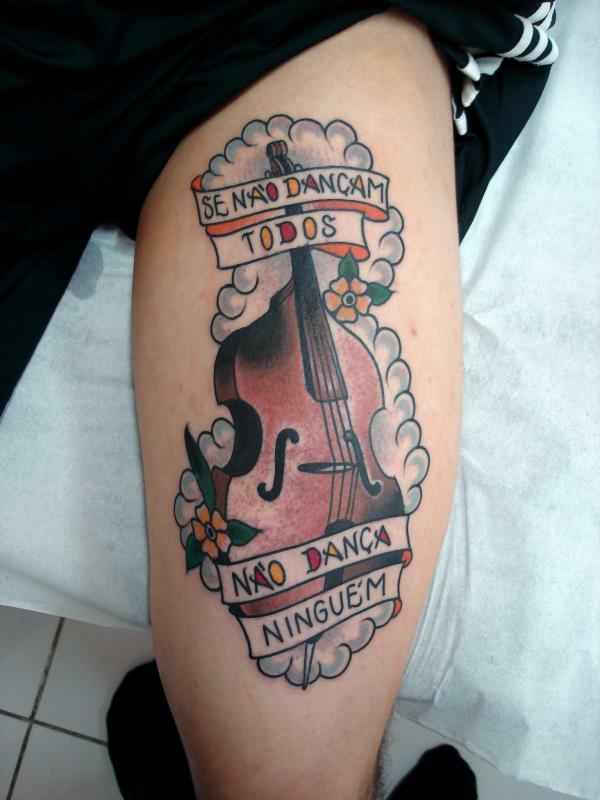 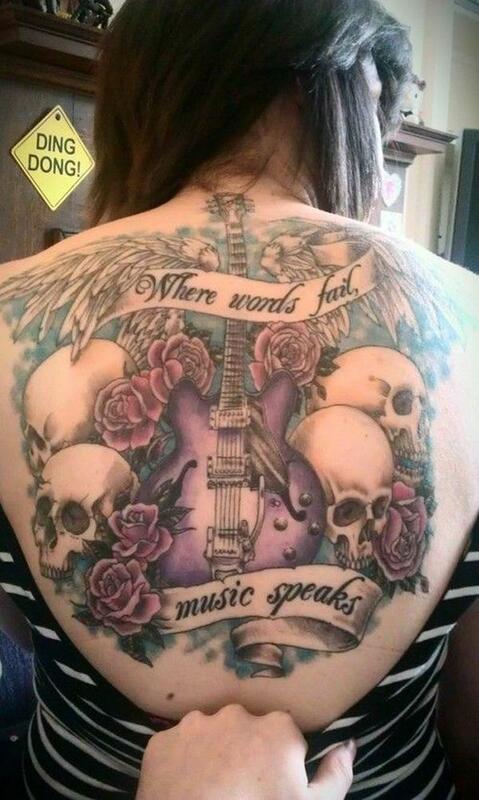 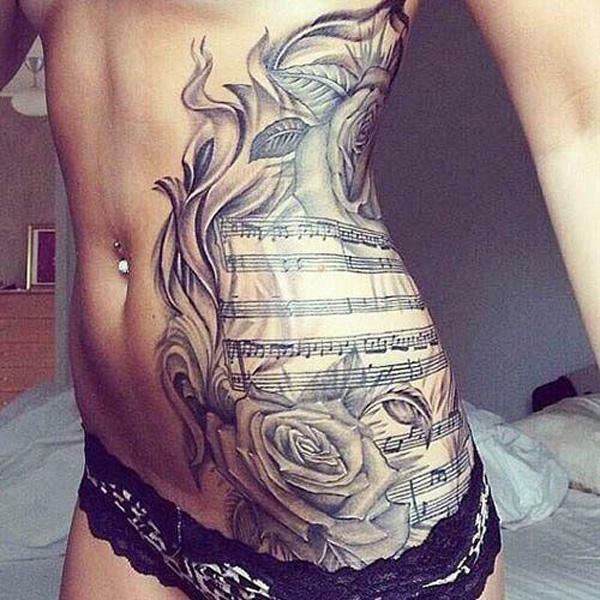 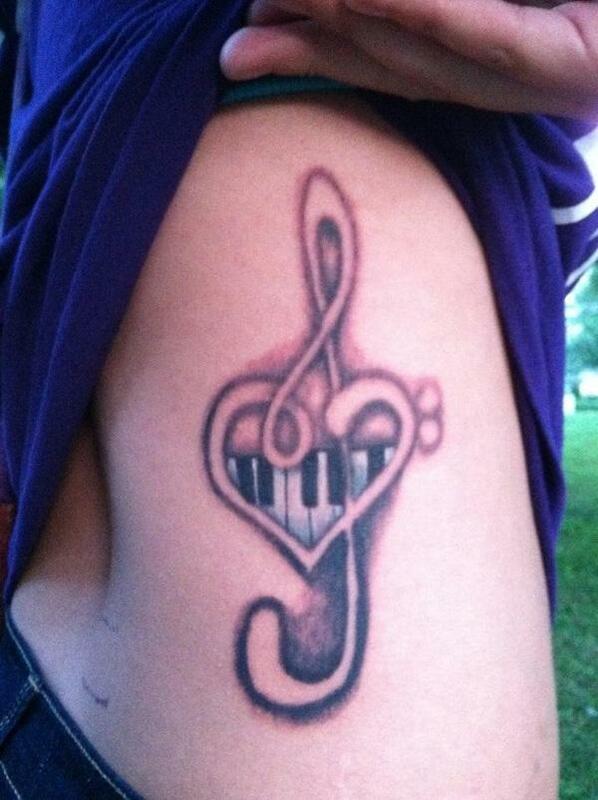 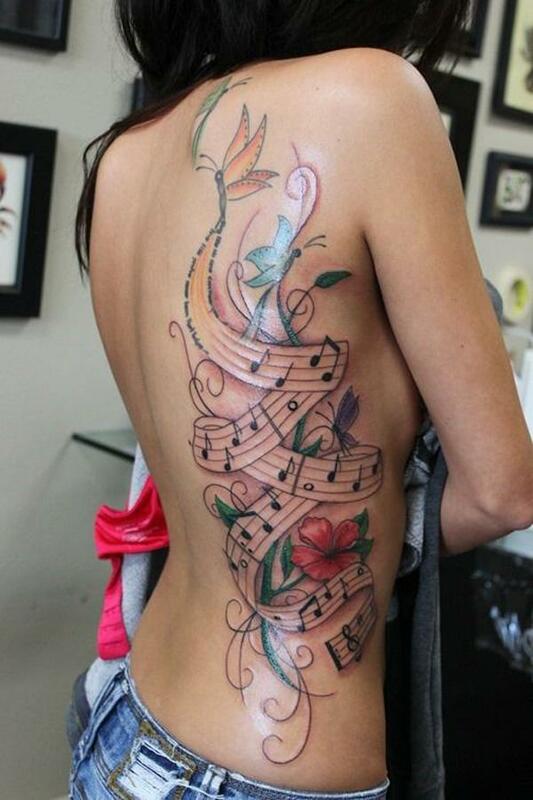 A lot of people love music, so do they love tattoo. 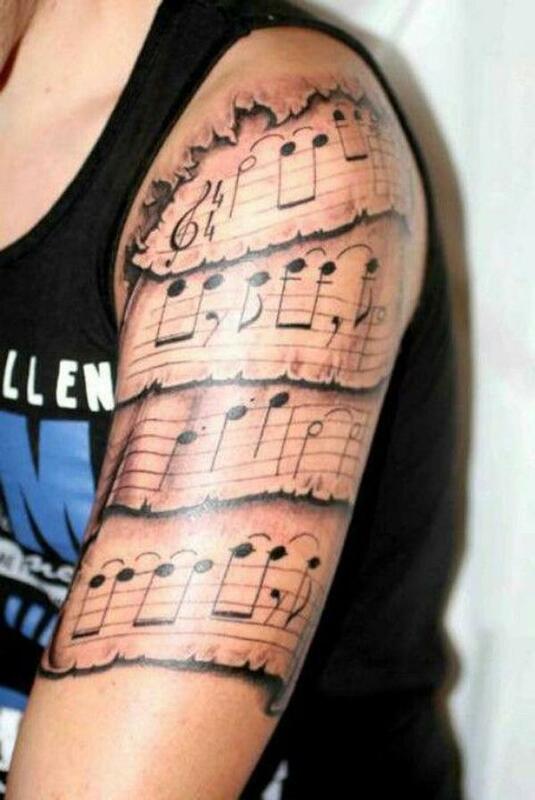 What are the tattoo ideas for music fans? 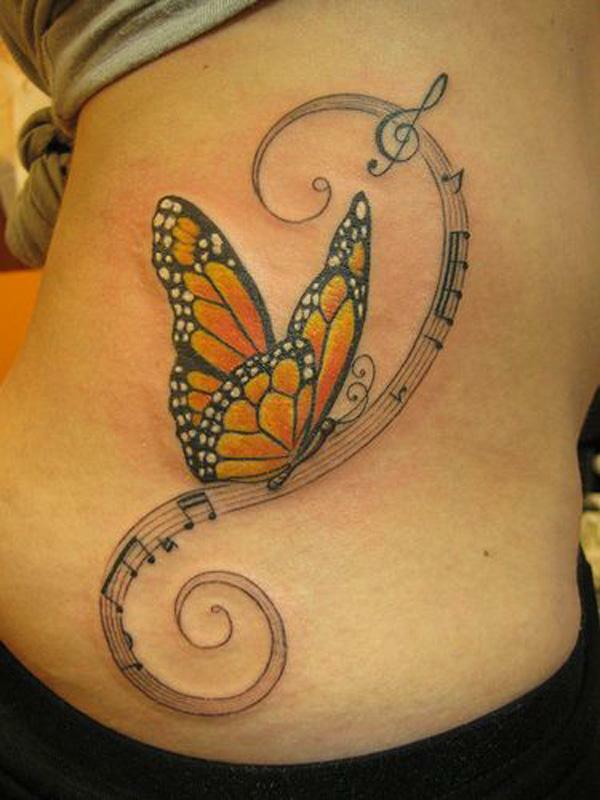 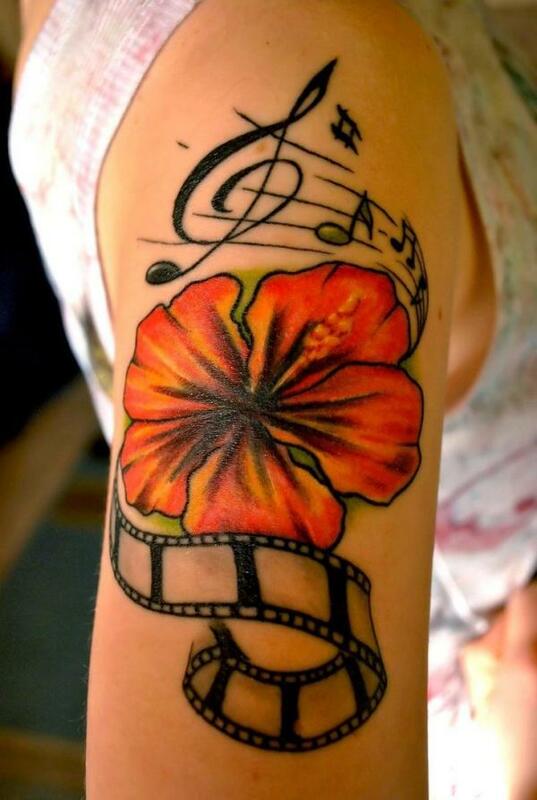 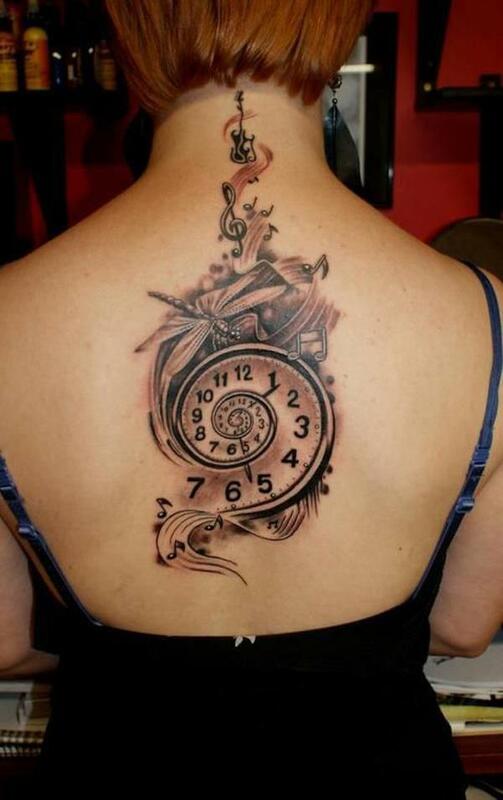 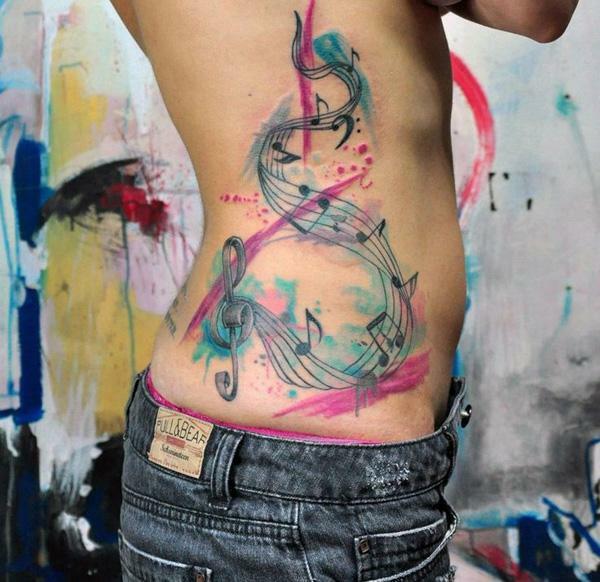 In this post you will enjoy a list of lovely music tattoo designs. 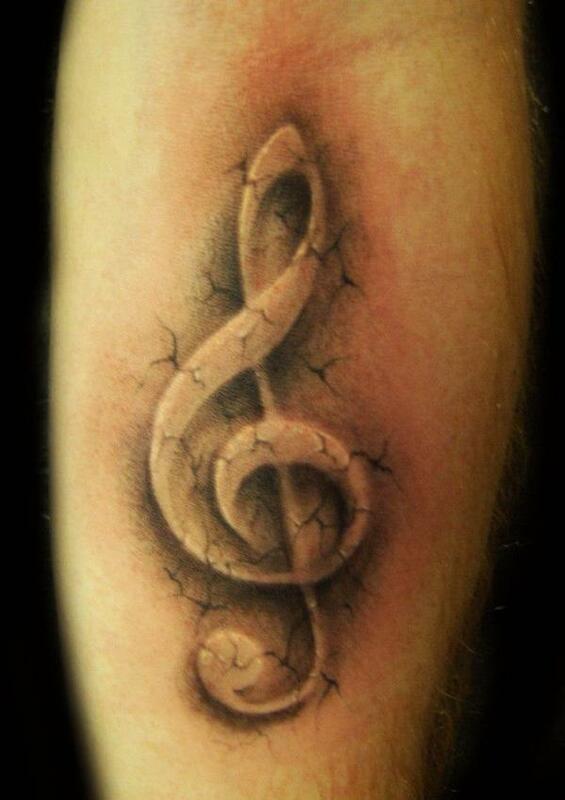 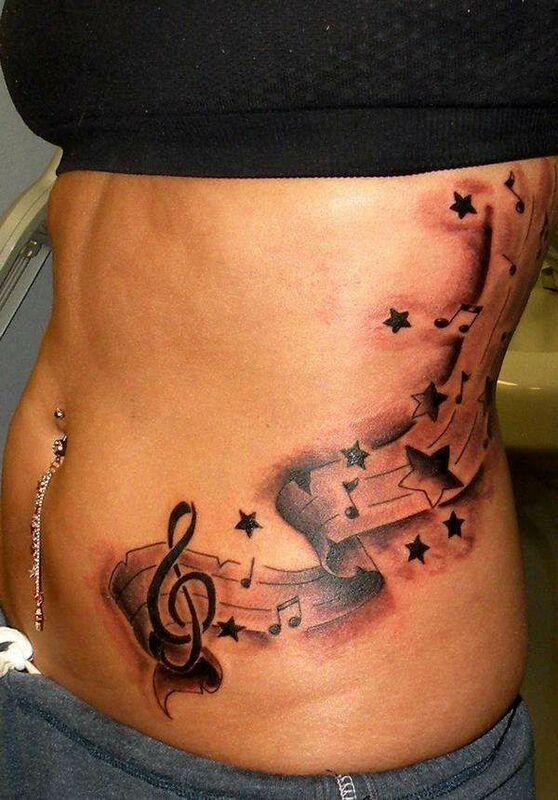 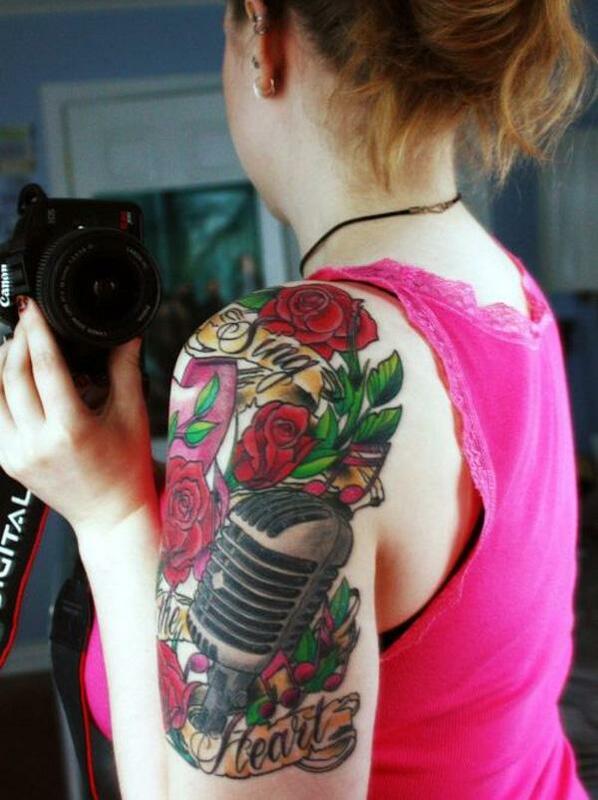 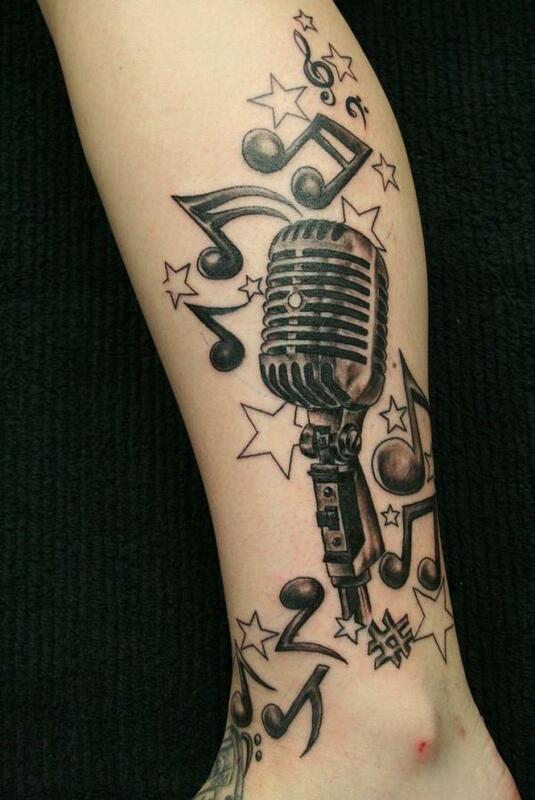 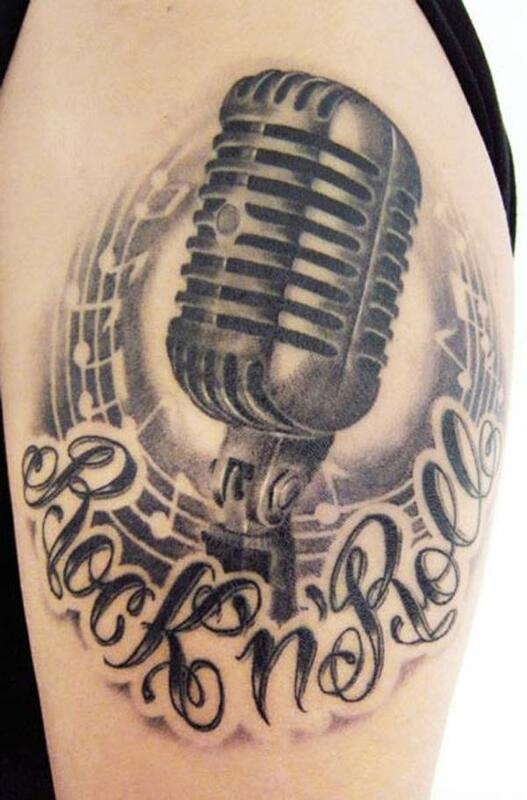 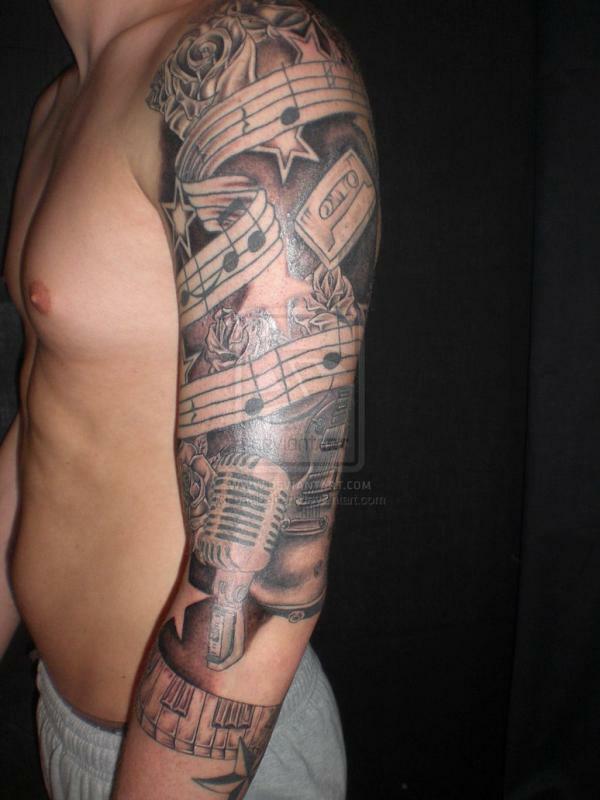 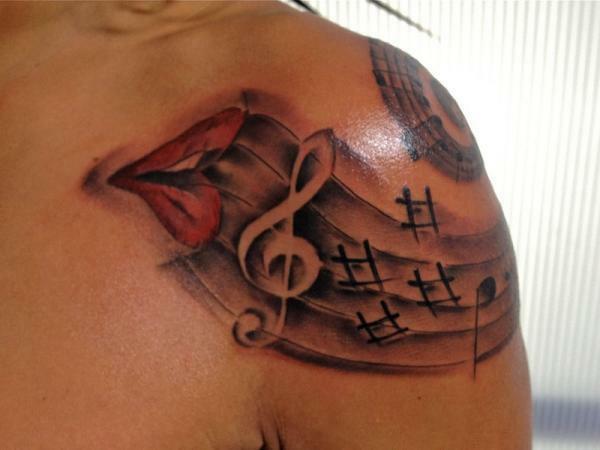 Every music element, music note, microphone, etc., could become the tattoo subject for an artist. 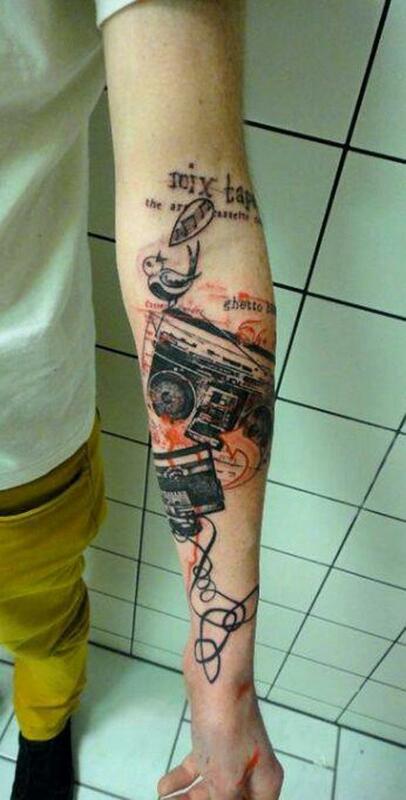 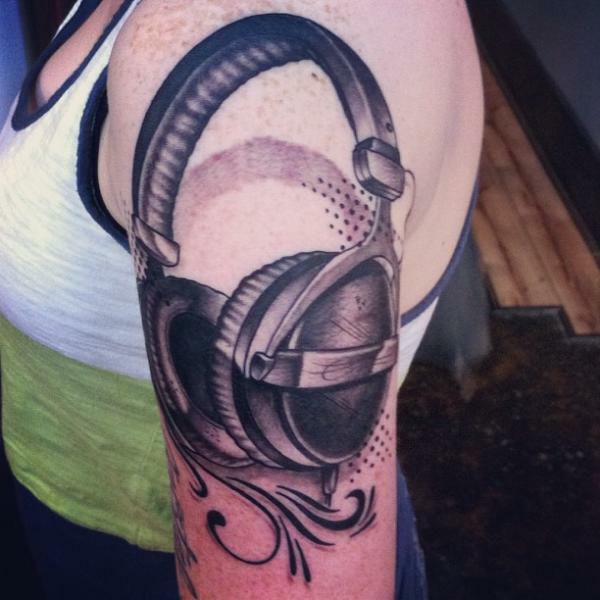 Tattoo is a good way to extend the love of the sound art in the new medium. 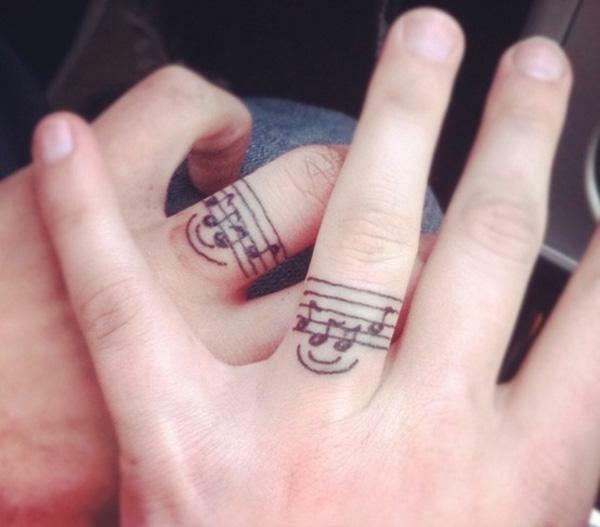 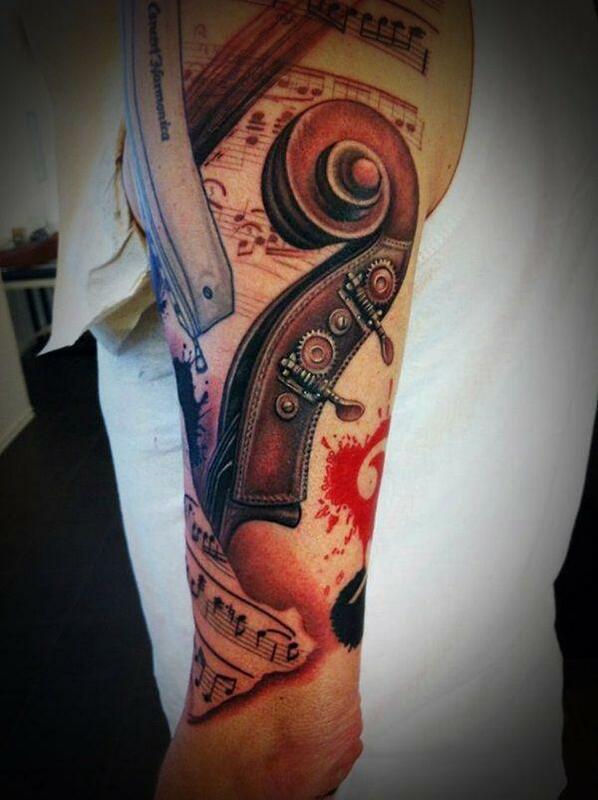 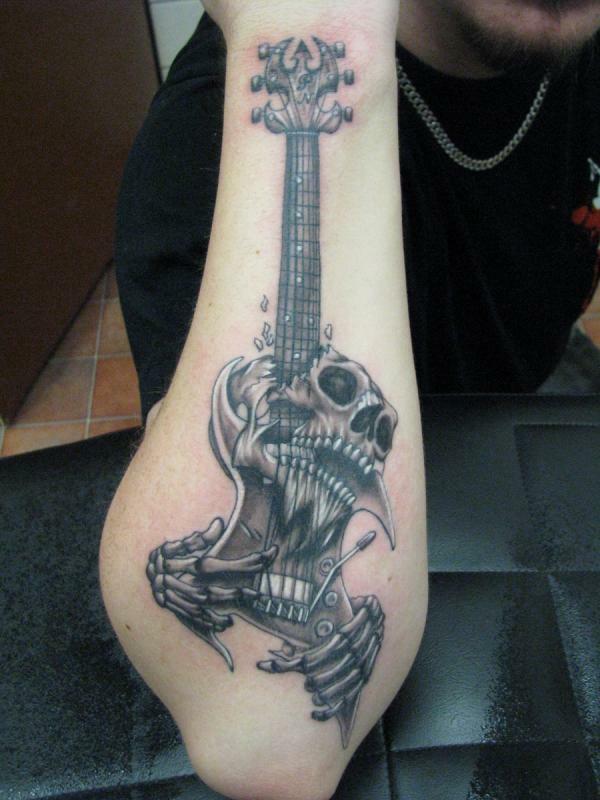 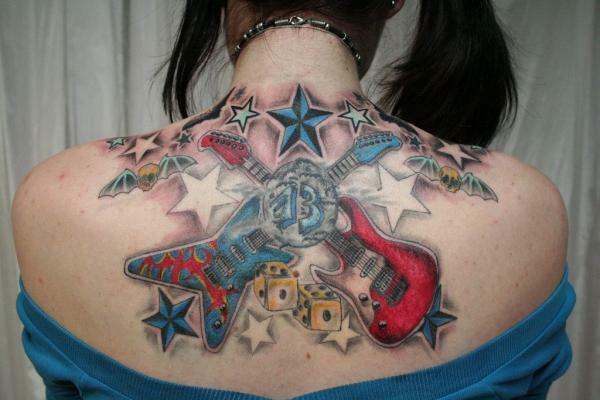 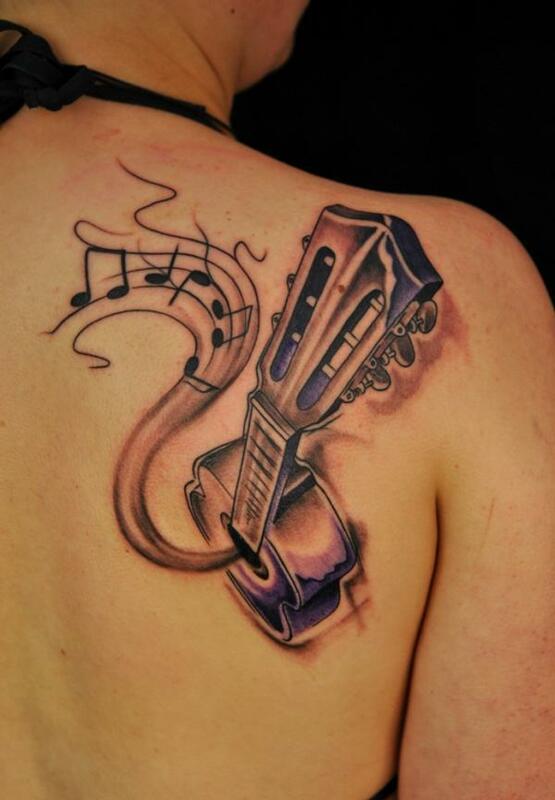 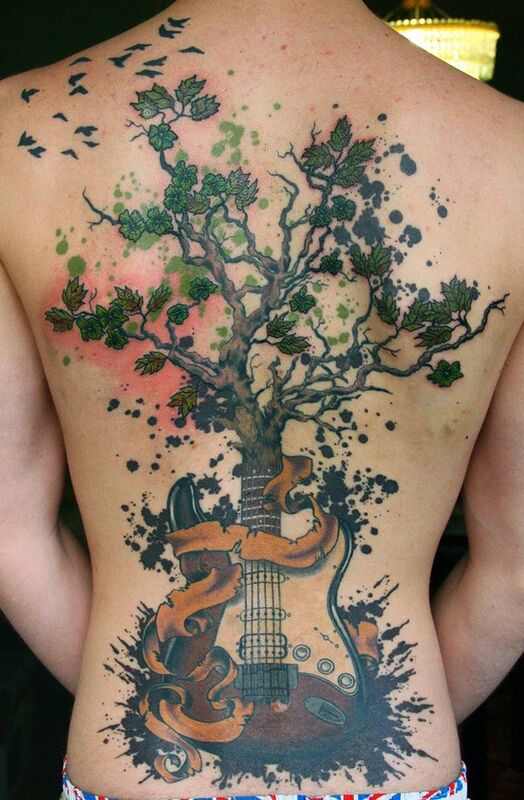 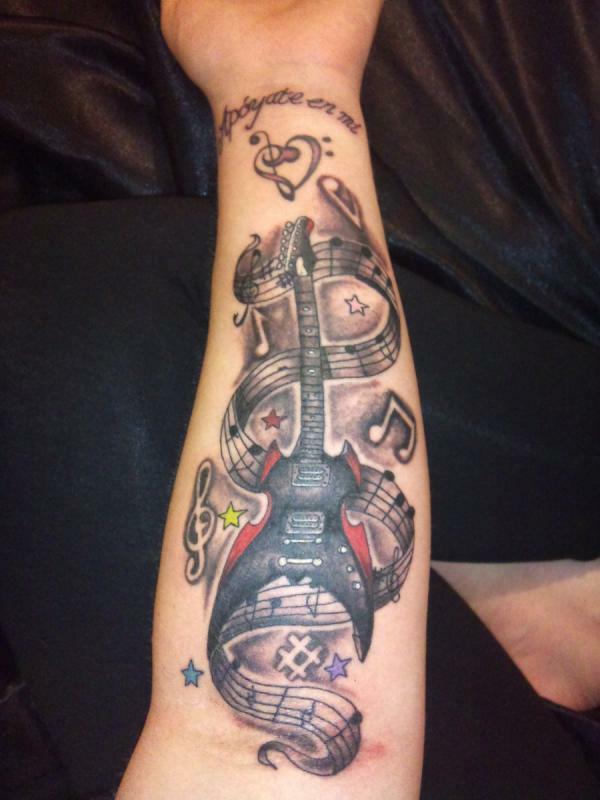 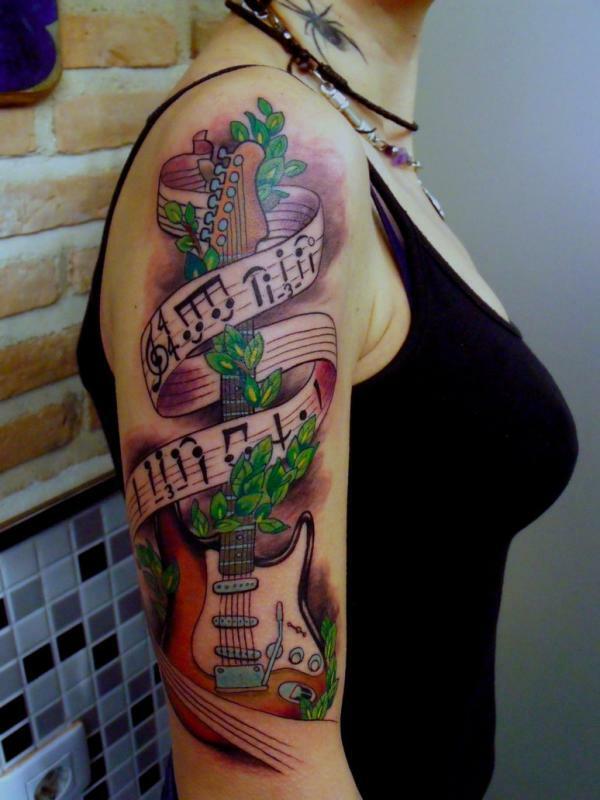 For an instrument player, a tattoo of stylish guitar is already a good signage about one’s experience or the love. 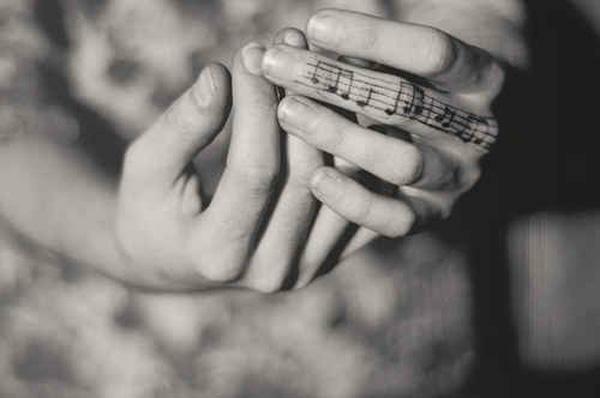 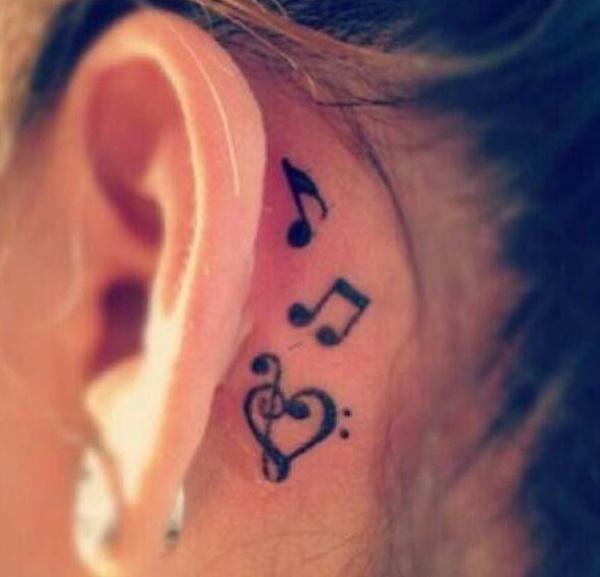 A line of music note could represent one’s emotion revealed in the music. 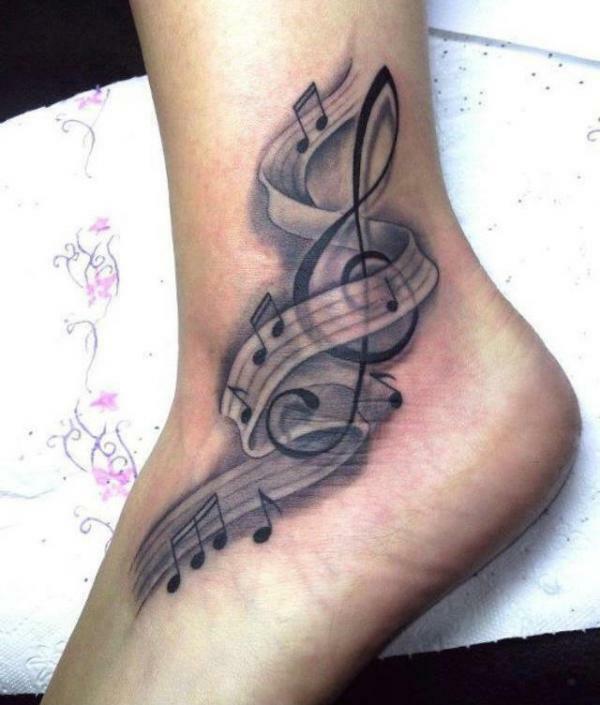 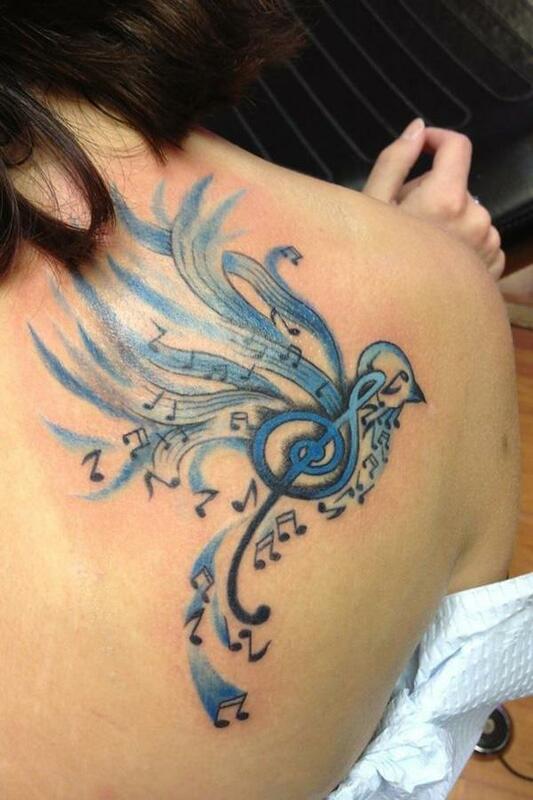 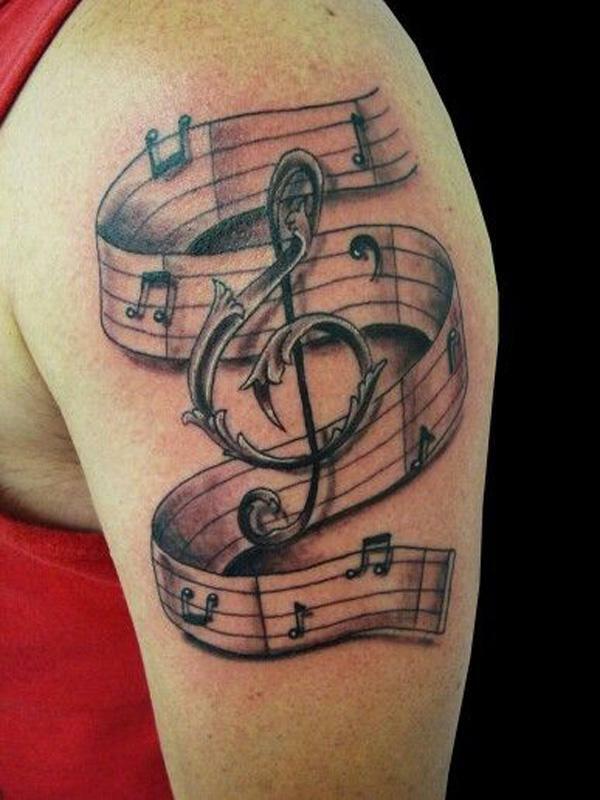 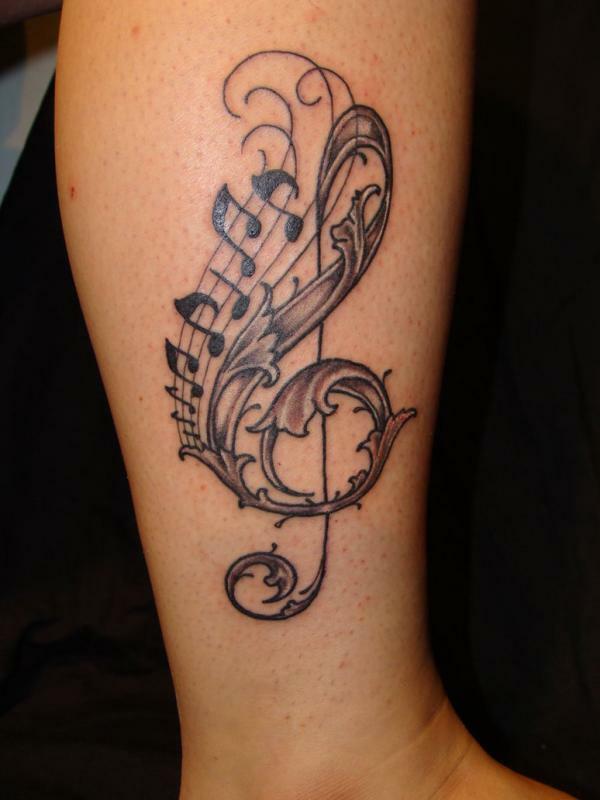 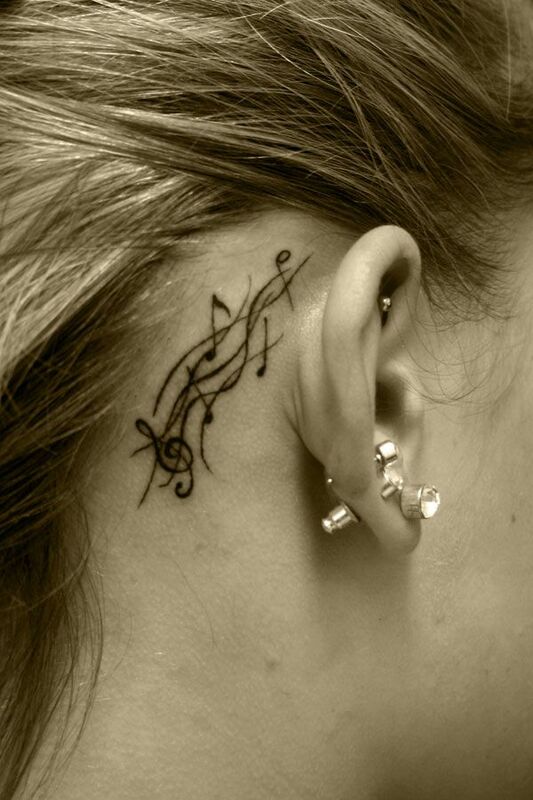 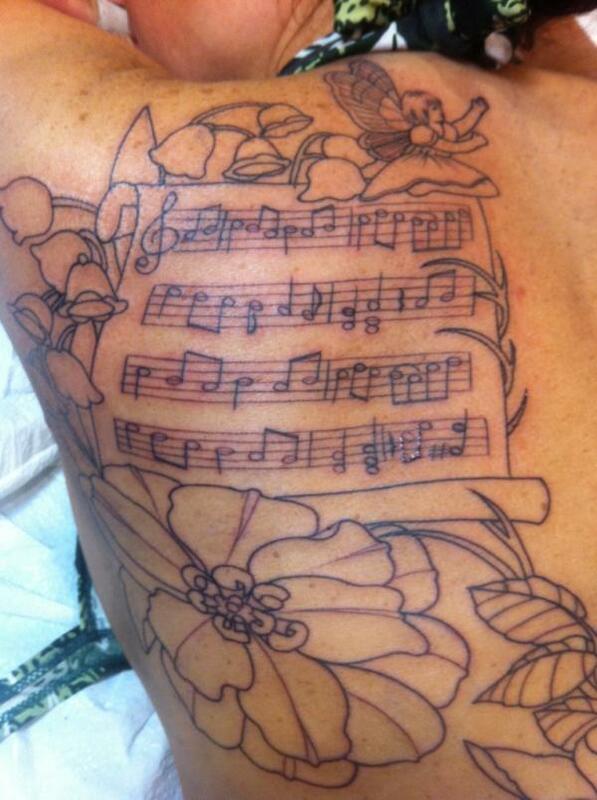 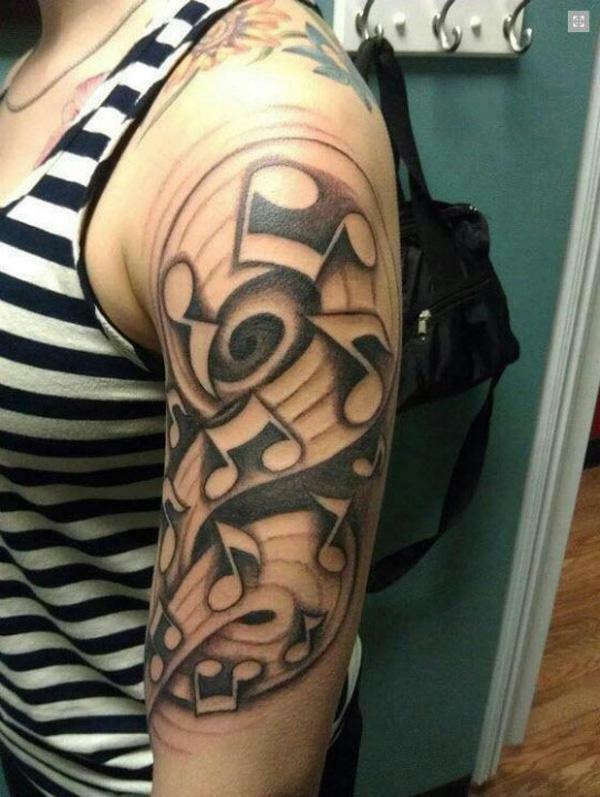 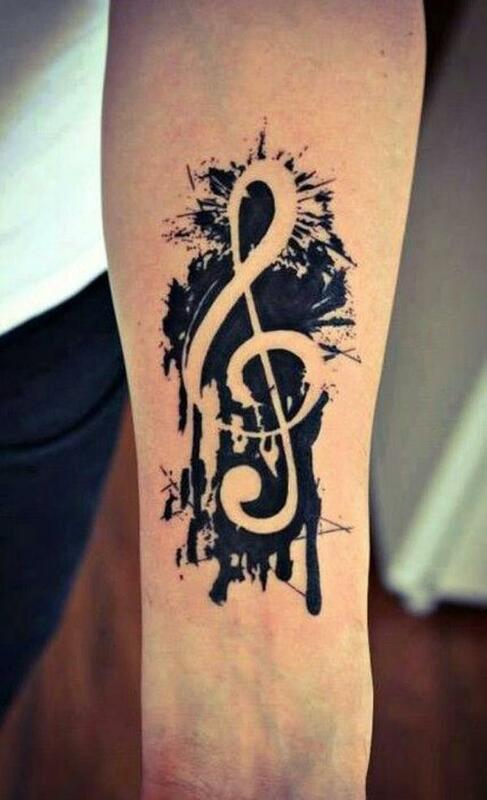 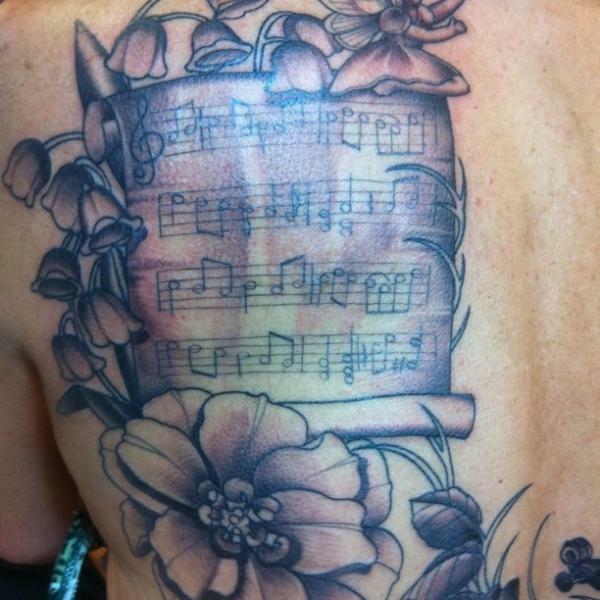 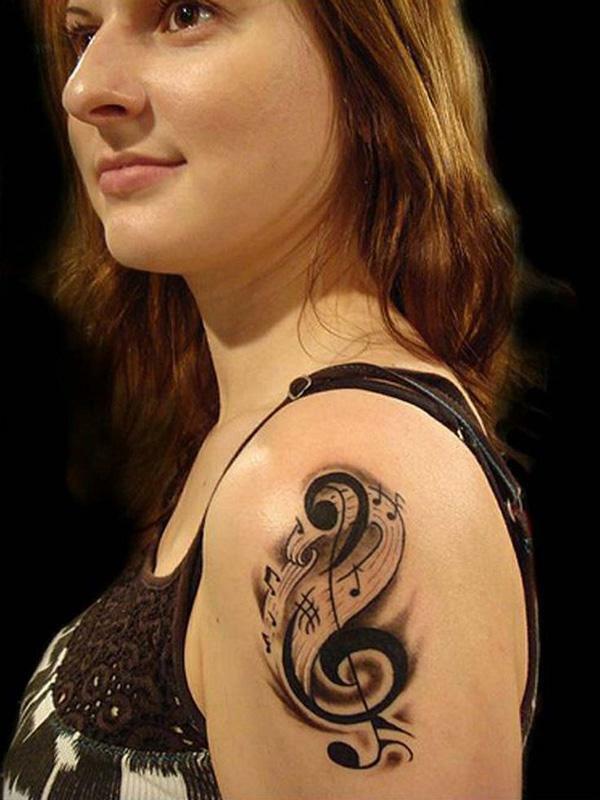 Music notes are often used to infuse other tattoos to embellish the subject of the designs. 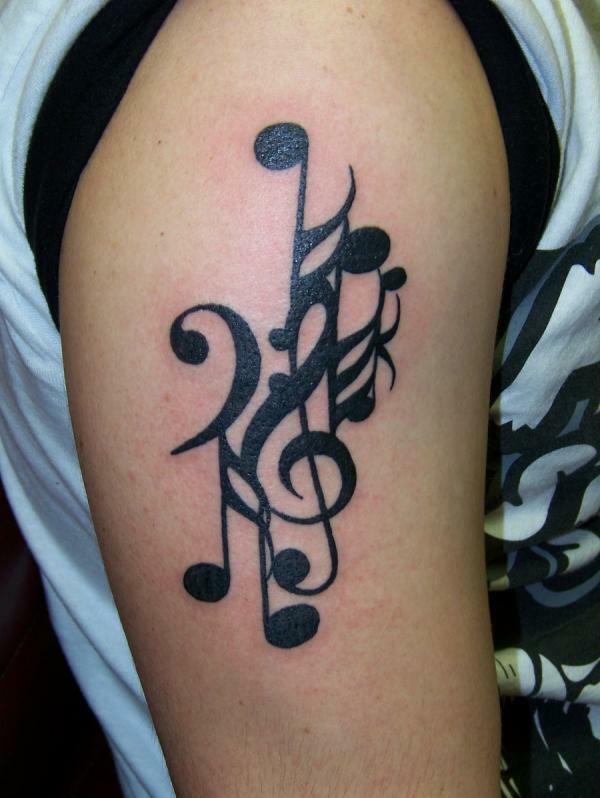 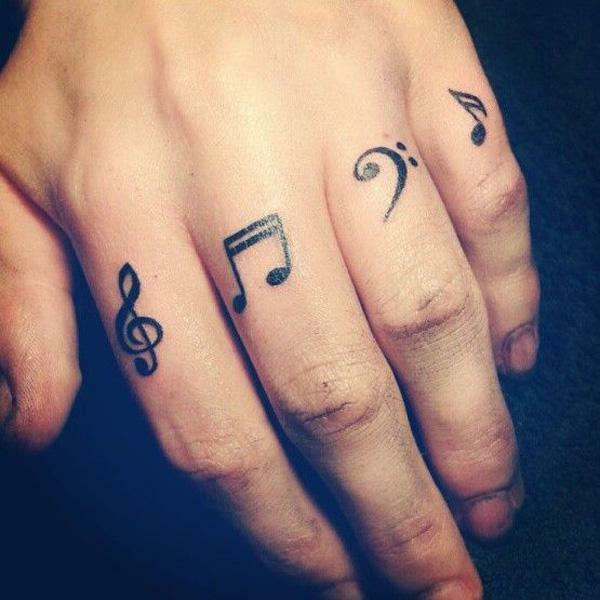 Music is so popular that music tattoos are easily identified by these music symbols. 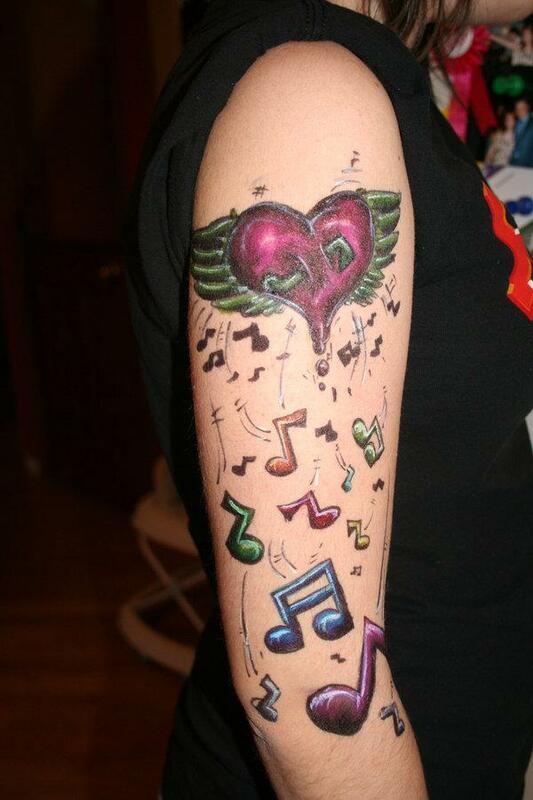 A lot of people get their music tattoos on their limbs, e.g., music sleeve tattoos. 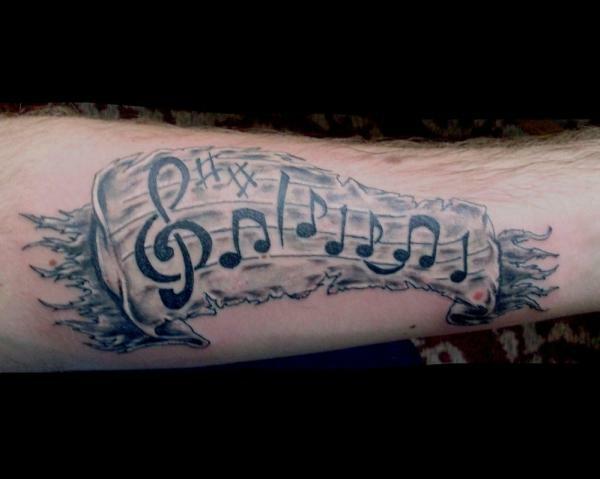 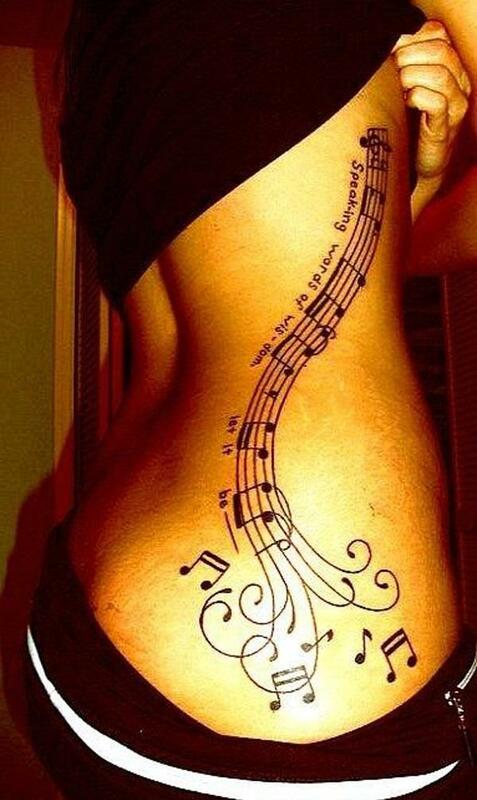 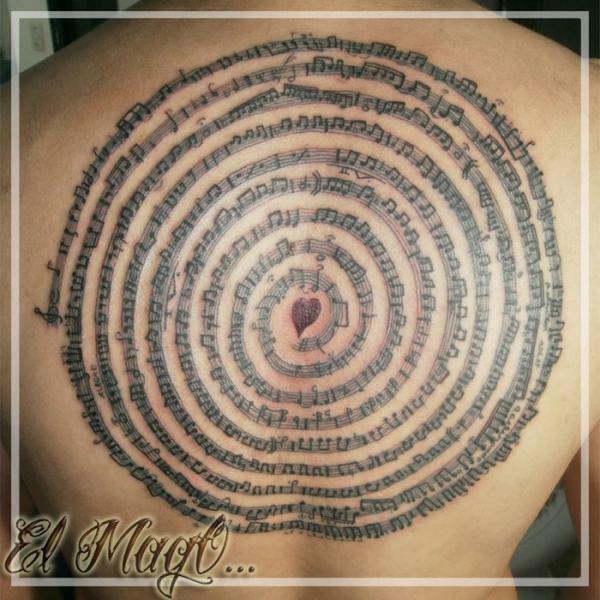 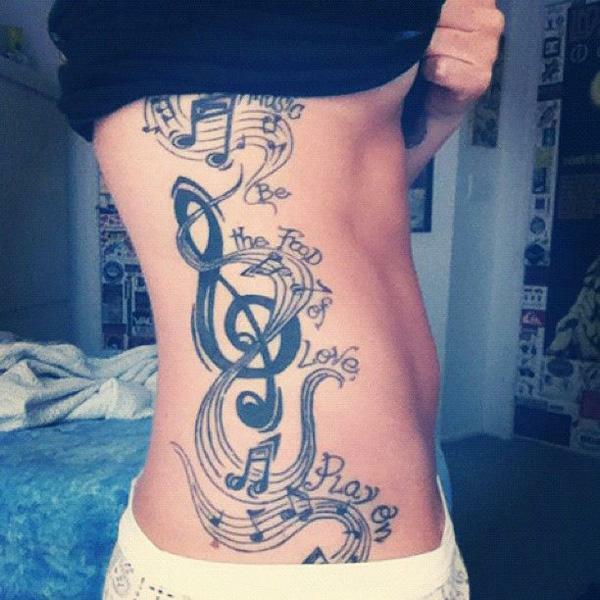 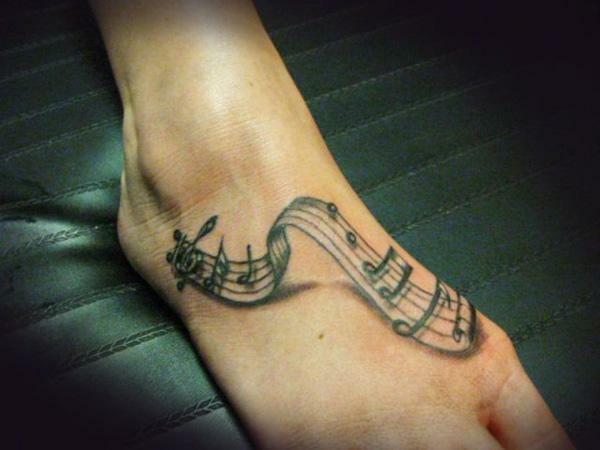 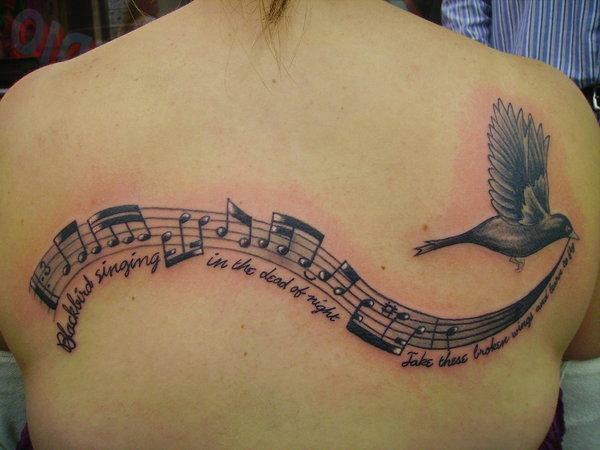 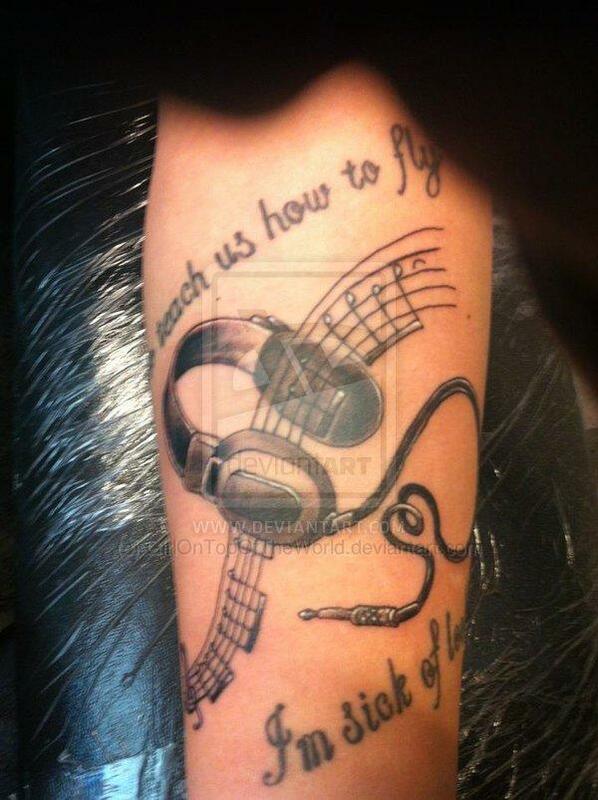 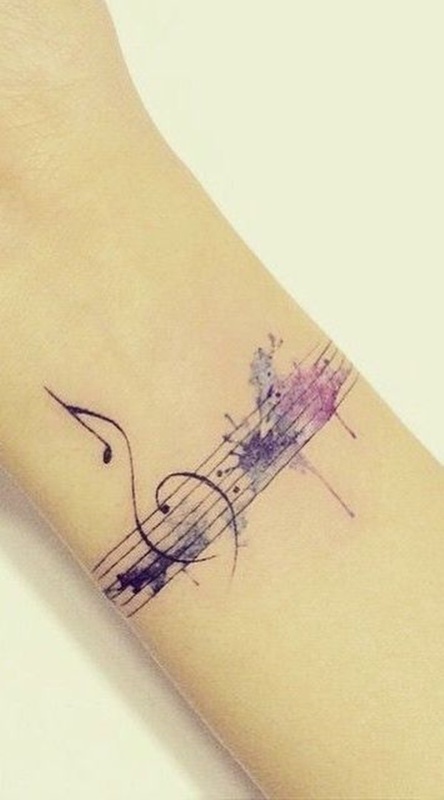 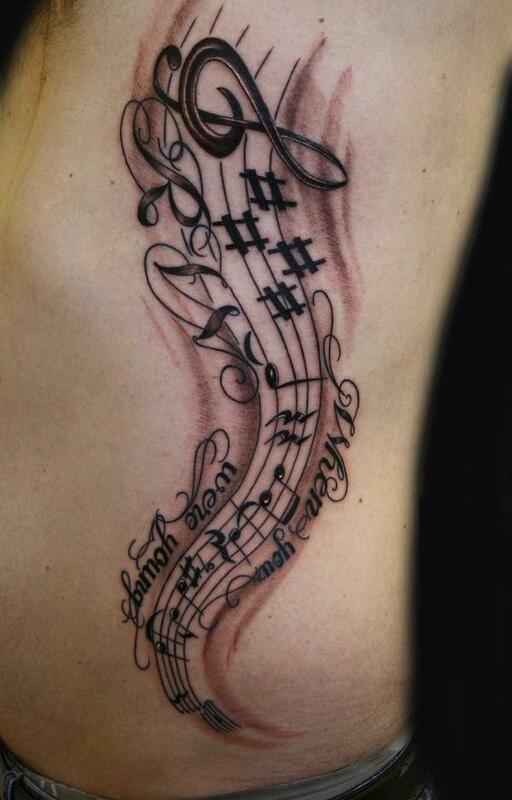 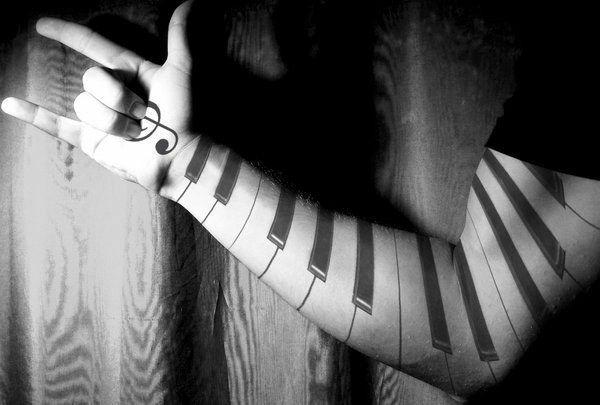 In terms of placement of the music tattoo, it’s very flexible in designs. 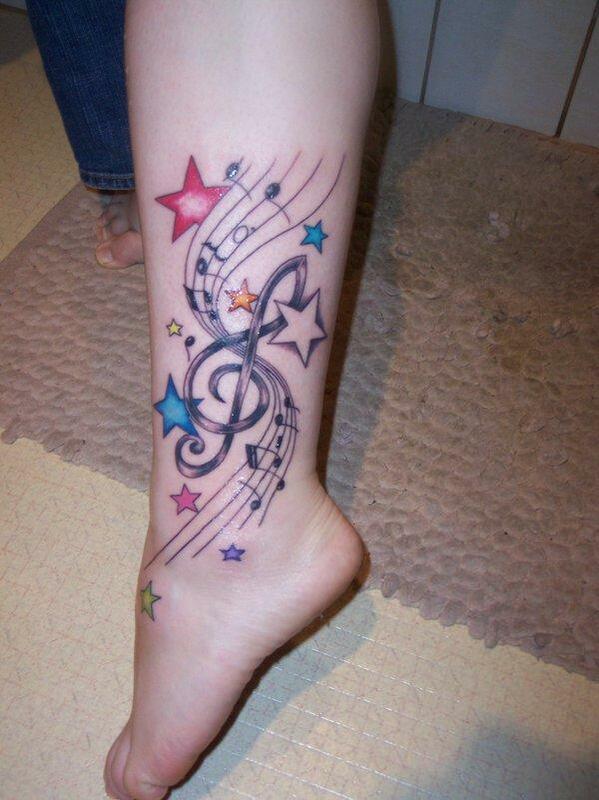 We have collected all the examples, tattoos on arms, legs, foot, back, and even ears, they are cute! 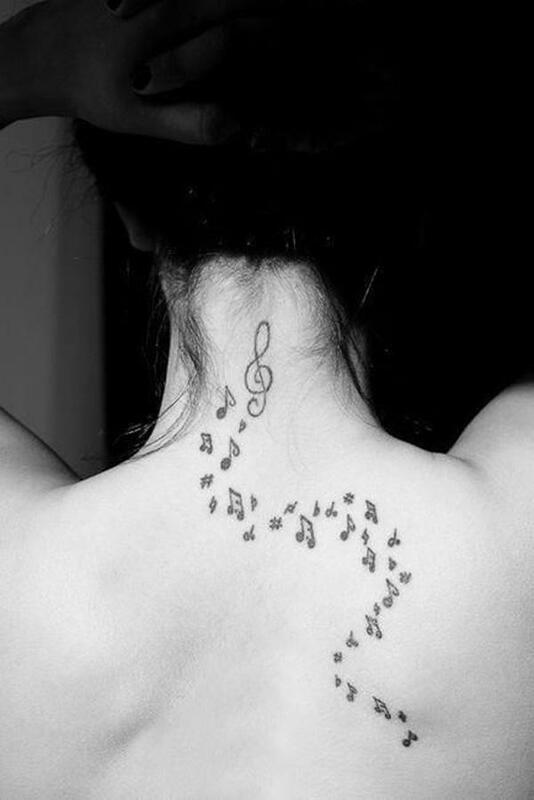 Imagine your life full of the colorful music notes and stars. 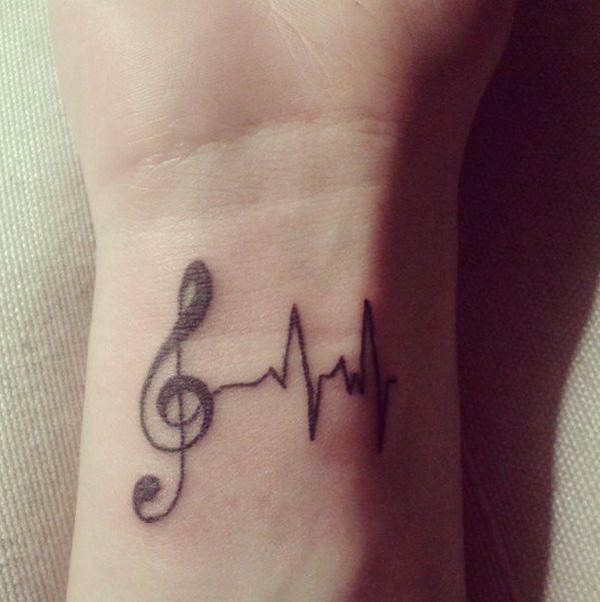 The music themed tattoo is the signage of a optimistic future. 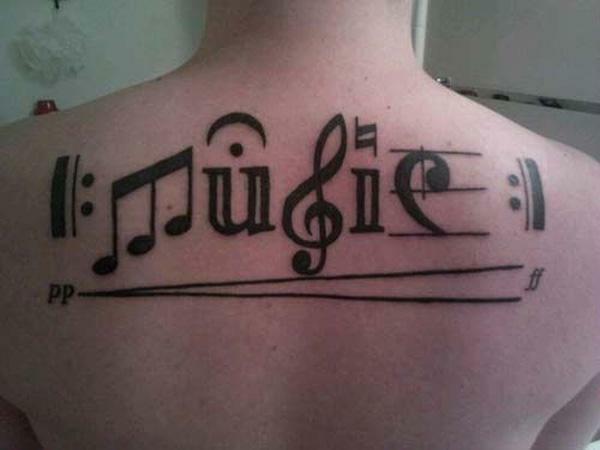 The unique music for the tattoo wearer. 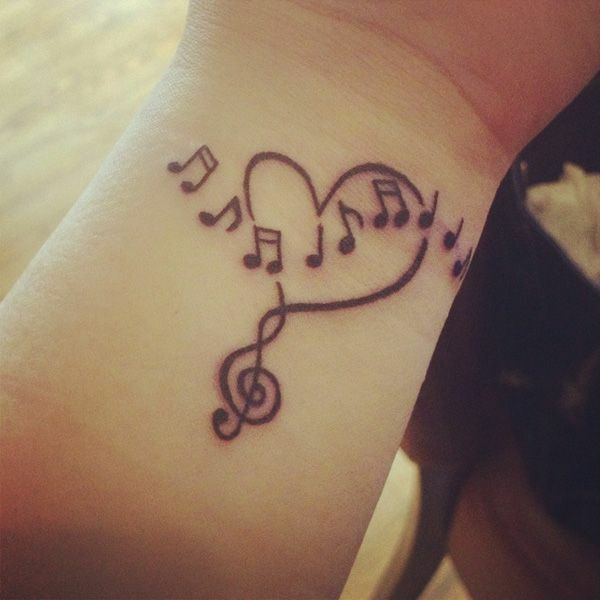 The music themed tattoo signifies the song you sing every day, the love and the colorful life. 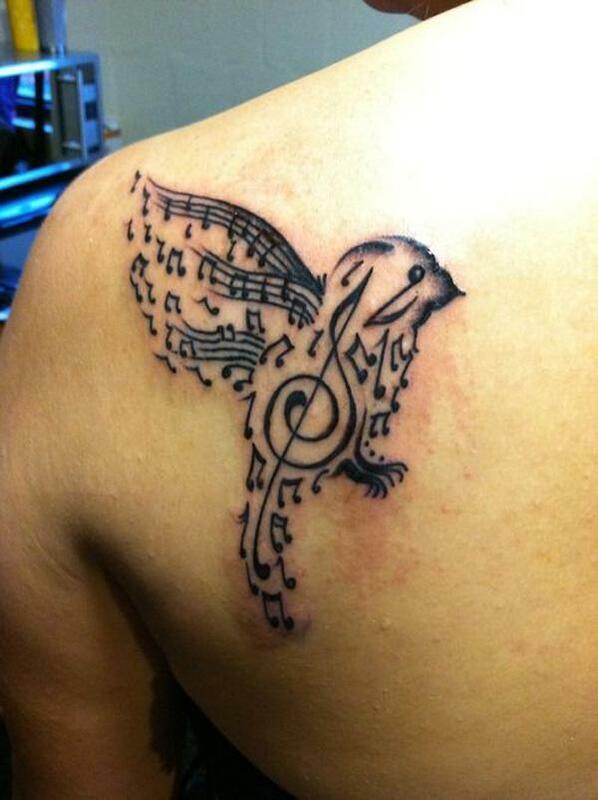 Creative design making the flying bird with all the music notes.